This short-cut cook recipe is one of my favorites. From the freezer to the pan, a One-Dish Wonder. Buy fresh shrimp, no shells. 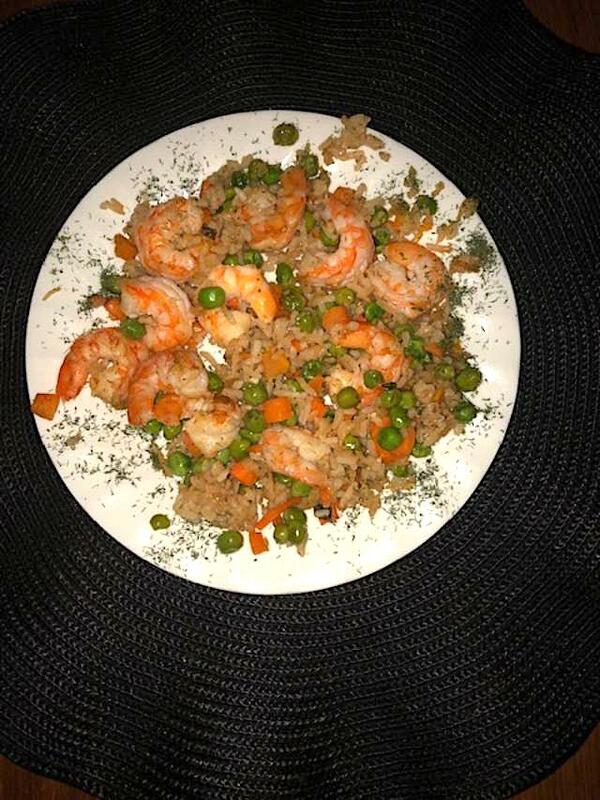 Using a non-stick skillet, add shrimp, rice. veggies and garlic. Mix well, Saute’ for 5 to 7 minutes. When Shirmp are pink, add wine or broth. Sprinkle with dry dill. Serves 3 to 4 with small appetites.